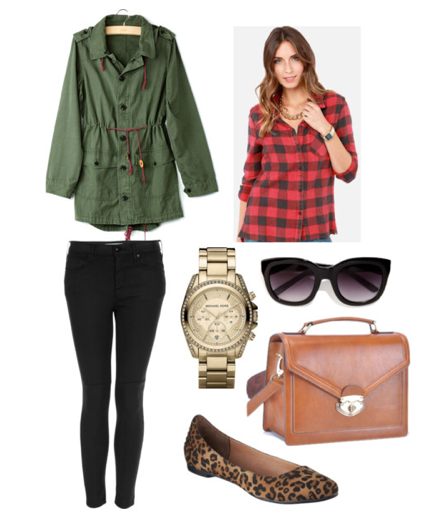 For a casual Monday post II thought I would share with you how I personally like to style military/ parka coats! So for me wearing a basic shirt, black jeans and either ballet flats or white converse pumps, is the best outfit to fling when you are in a rush! To mix it up a little I like to wear a jumper over the shirt (Which is a whole separate outfit choice on its own – I am in love!) for either extra warmth or to just simply change up the outfit. Once you have all the clothing pieces put together, there are simply endless jewellery combinations that change with each individual and what their heart desires! For me personally Gold is a staple that i wear with most outfits, so when i get my hands on new pieces I am a very happy to add them to my collection! If you like style inspiration posts of possible outfit choices or how I style certain pieces, please let me know in the comment section below and I will add it to my to-do list!